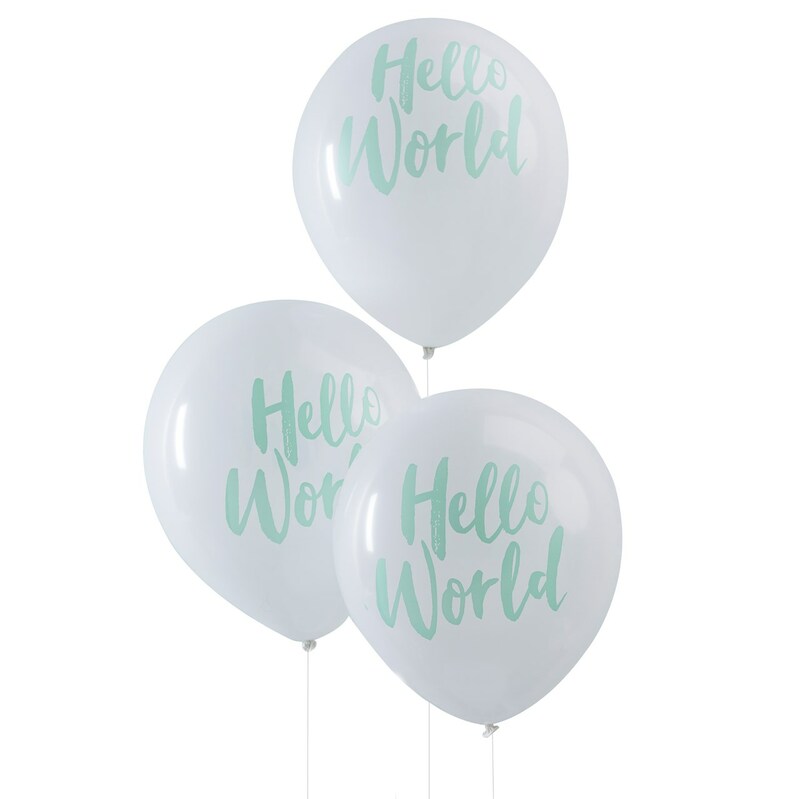 DescriptionLovely white and mint green Hello World Balloons, perfect for creating a trendy Baby Shower set-up. Combine the mint green balloons with rose gold elements of the Hello World range to welcome your baby into the world! Each pack contains 10 balloons measuring 12"" when inflated. Lovely white and mint green Hello World Balloons, perfect for creating a trendy Baby Shower set-up. Combine the mint green balloons with rose gold elements of the Hello World range to welcome your baby into the world! Each pack contains 10 balloons measuring 12"" when inflated.